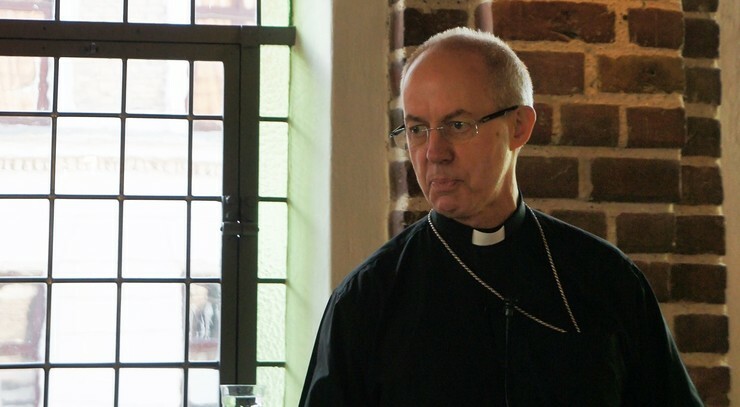 The Archbishop of Canterbury, Justin Welby, took part in the Porvoo Primates in Copenhagen. In that connection we had the opportunity to speak with the Archbishop about the future of ecumenism. Are we heading towards an ecumenical spring? Or is there still a long way to unity? What are the most important challenges for the ecumenical movement? Theological, cultural or political? It’s a bit of everything. But in declining order of importance, I would say, first, habit. We have lived apart for so long, hundreds of years, that we think living apart is normal. This makes the theological and spiritual imagination necessary to live together extremely difficult to achieve. There is no memory of what it is like to live together. Then, second, theology and particularly issues of anthropology and identity. The ‘Buffalo Statement’ In the Image and Likeness of God: A Hope Filled Anthropology (2015) was the outcome of years of work between Anglicans and the Eastern Orthodox Churches and I think it is one of the more important documents, little known though it is. It is not as important, though, as the Lutheran and Roman Catholic Joint Declaration on the Doctrine of Justification (1999). But it is very, very important because it actually shows that we have significant agreement on the fundamental nature of the human being – perhaps not, though, on the functions of the human being. It does not handle issues such as the role of women and sexuality – where we have challenges. But I think theologically, progress is being made, and that it is slow and necessarily slow. It’s not a criticism, it’s just the reality. I think the Porvoo communion has been really important in enabling us to recognize Christ in one another. The question is now: are we satisfied with that? As a communion, are we able to look outwards? Having seen Christ in one another can we point others to Christ? Should churches engage in international co-operation or stand firm on their own identity? The identity of the Church is found in Jesus Christ and nowhere else. All other identities are contingent. They may be very important, but they are historically, geographically, politically, sociologically and culturally defined. And in the end, they are less important than our identity in Christ. We do have to be authentically what we are. I am an English Christian. But my most important identity is Christian. Our unity is found in Christ, not in trying to negotiate our different national identities. We should rejoice in those, celebrate the diversity that comes from those but find our identity in Christ. And that’s an effort. It always has been. Look at the Letter to the Romans, which the Apostle Paul wrote. It is essentially a letter to two groups of people who found their identity in Christ and couldn’t really get on terribly well with each other. If people find their identity in their religion, can’t they be seen as a “danger” to society or to politicians? Not if they are faithful disciples of Jesus Christ. Well, yes and no. They are a deep danger to society in the sense that they want to see the poor loved, they want to overturn privilege they want the mighty cast down from their seats and the raising up of the humble and meek – to quote the Magnificat. The Magnificat makes the Marxist manifesto look very mild. Which theological perspectives are important when meeting secularism? Incarnation, cross, resurrection, ascension and Pentecost, i.e. Jesus Christ. There is nothing that is more important in facing secularism than to hold on to the reality of the life, death, resurrection, ascension of Jesus and the ascension of the Spirit and His final return. The cosmos is about Jesus. And where that is the central focus of our lives and the living out of lives of generosity and hospitality, of love in Christ and holiness in obedience to the Spirit, then the problems of secularism become strangely dim.